February 23rd, 2016. 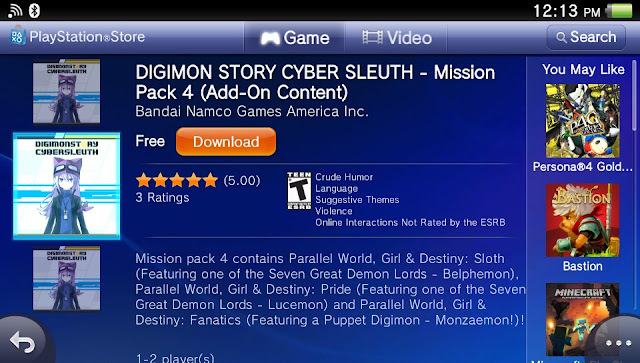 The second, third, and fourth Digimon Story Cyber Sleuth mission packs went up on the North American PSN today. The packs contain several new DLC missions, including all of the Seven Great Demon Lord missions necessary to unlock Dianamon. These missions feature fights with Demon, Barbamon, Lilithmon, Leviamon, Beelzebumon, Belphemon, and Lucemon, as well as their alternate forms. Completing the quests will unlock a final mission with Sayo of Digimon Story Moonlight, and finishing this quest will allow Digimon tamers to unlock Dianamon as an evolution. 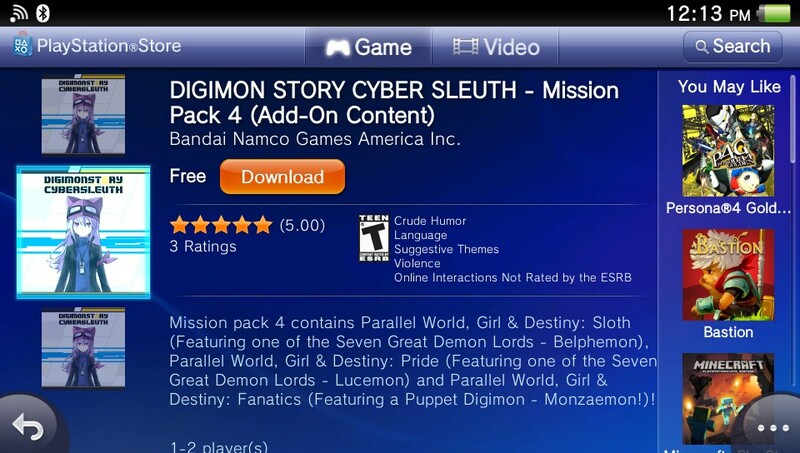 The DLC is available on both PlayStation Vita and PlayStation 4, and comes free of charge. OMG! Those Demon Lords are stronger than the Royal Knights!